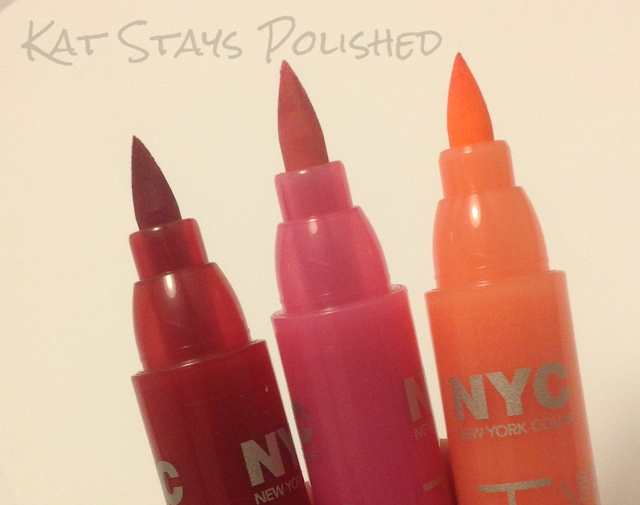 A couple of week ago, NYC New York Color sent me 9 lip products to try out. I'm not too big into lip color, but I was interested in all their glosses, especially those that claimed to be good for 8 or 16 hours. Here is what I got and my findings from each. 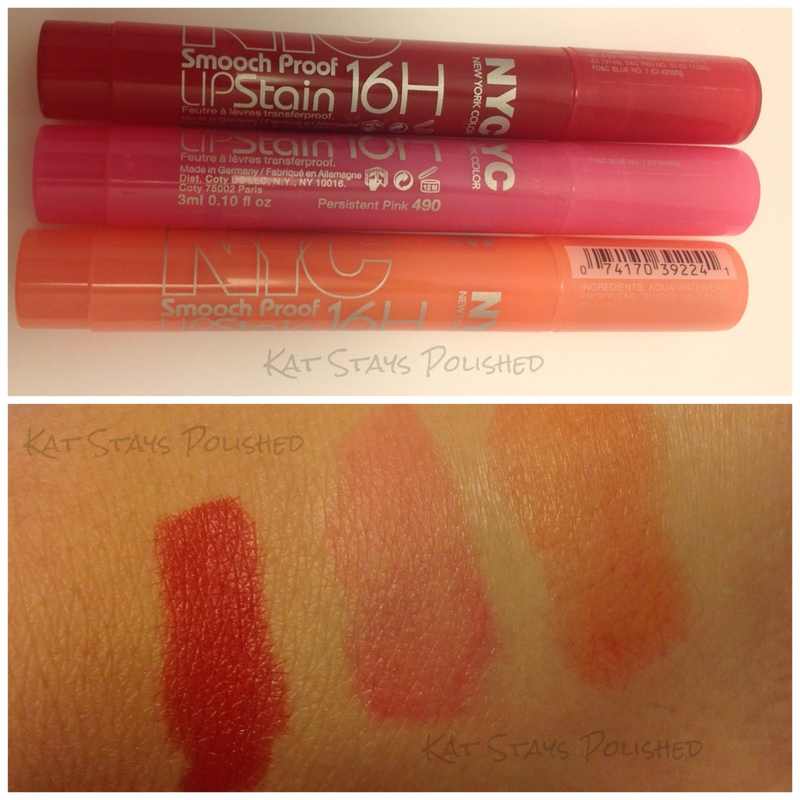 I was really excited to try these because I do not use lip products often, but when I do, I like to wear ones that will last. Well, 16 hours is a long time to keep something on your lips. At work, I'm constantly drinking coffee, drinking sodas, eating, snacking...all things that could ruin my lips. Overall I thought they worked well. The orange color did not really show up on my lips and the red was ok. Out of the three, I prefer the pink. It seemed just right for my skin tone. Next up is City Proof [up to 8 hr] gloss. Going down from 16 hours to 8 hours, this seemed like a more reasonable time frame. This is a gloss, not stain, which means it does stay wet on your lips. I don't know if you can tell form the pictures, but the one on the left, Everlasting Blossom, is super shimmery. They both held up with the shimmer part of the bargain, but I still had to reapply it once during the day. The formula is also really thick, so I think this helps it stay on longer. These colors were too sheer for me, even though they had shimmer. Next is their Liquid LipShine. Liquid Lipshine. Who else has one of these in their VoxBox from Influenster? I absolutely loved mine. All three of these fit my skin tone because they are fairly neutral while still giving my lips some color. Since this has no time limit on these, you'll have to reapply as you see fit. 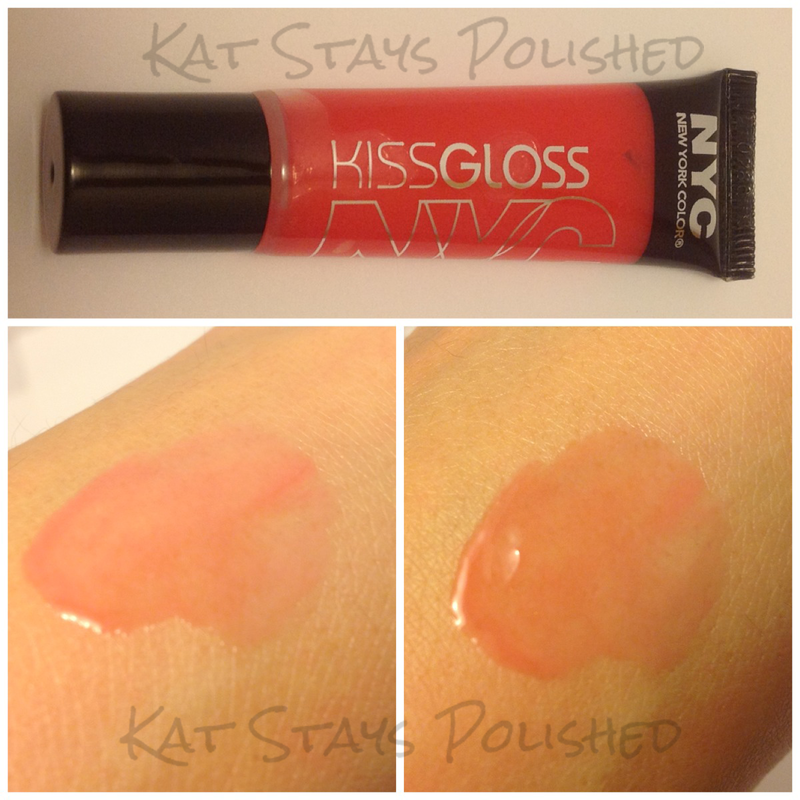 As I said in my VoxBox review, I love the sweet smell of this gloss and I love the soft, flexible applicator. No pro/con list for this one. I already knew what to expect from these. If you want a nice gloss that you may have to reapply every couple of hours, this one is the one to get. The price point is pretty affordable to at around $2 and some change. Last is a Kiss Gloss called Park Ave Punch. This is a simple fruity lip gloss that is super sheer but really moistens your lips. It smells like a sweet punch and glides on smooth. Your lips stay shiny, but beware. One sip of that morning cup 'o joe and your lips will be left with nothing. I'd recommend this as just a fun gloss for when you're out and about. The tube is small enough to fit into any pocket or purse. I was pleasantly surprised by all 4 of these products. I would use all of them again...maybe not the same colors, but the products themselves all served a purpose that fit my needs. 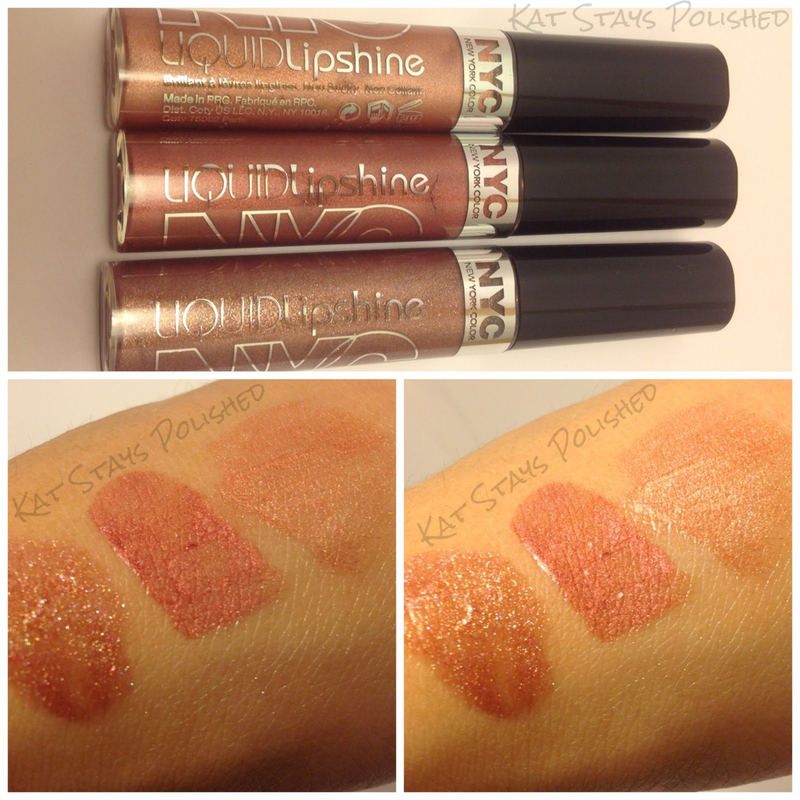 I got the Liquid Lipshine in my VoxBox and didn't care for it--too sticky! And the color was so neutral, it looked like I had boring, but shiny, lips. It looks like those stains went on pretty well. I got the ones by Maybelline when they first came out and my lips never looked like the ads; it barely went on at all, even when they were brand new.